A code red can be a difficult experience – even for experienced healthcare professionals in the emergency department (ED). ‘It is daunting,’ says Nikki Davies, senior sister at the Royal London Hospital. ‘When a code red comes into the ED, they are probably the sickest person in London at that moment. 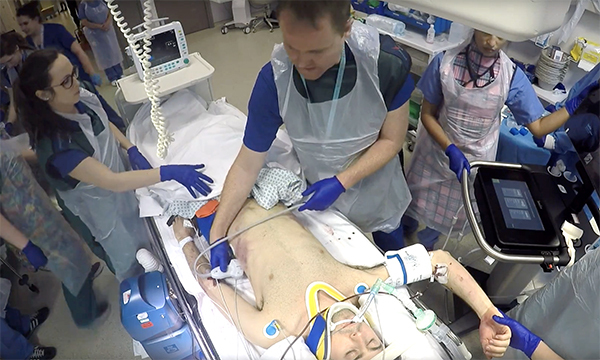 To answer those questions and prepare staff to give the best care to hemorrhaging patients, Ms Davies has produced an innovative training package including a film, Code Red, which is helping to give the multidisciplinary team the confidence and skills they need to treat the sickest trauma patients. ‘Royal London is Europe’s busiest trauma centre,’ says Ms Davies. ‘In 2016 we cared for more than 300 patients with an Injury Severity Score of more than 15,’ she says. For Ms Davies, making sure everyone in the multidisciplinary team understands their roles is important. The film is shot from different clinicians' viewpoints, so viewers can learn from the perspective of their own specialty, have a better understanding of their role in their team and how they need to work with others. The biggest challenges to getting it made, says Ms Davies, were time constraints and getting everyone together to organise the project. ‘Our code red quality improvement group of consultants and representatives from other specialties thought we were on to something and felt it was very positive, but getting people in the same room to talk about the film was difficult,’ she recalls. The team gave up their day off for filming, coming in at 6am. ‘Then, when we were halfway through filming, a real code red came in,’ Ms Davies recalls. 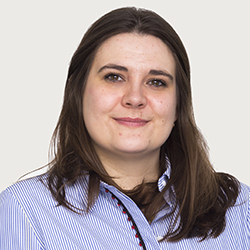 Ms Davies was a finalist in the Emergency Nursing category of the RCNi Nurse Awards 2018. She was nominated by practice development nurse Gillian Laird. ‘It is so important that our colleagues are recognised for innovations and ingenuity that ultimately benefit the patients,’ she says. 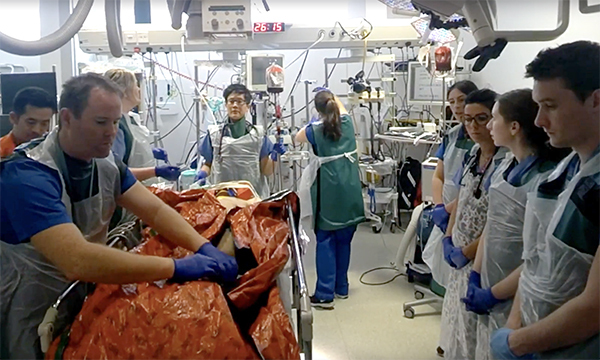 ‘In Nikki's case, the film she made with a group of colleagues not only gives patients better care, but can be used again and again, as an educational tool for staff from each discipline involved in the trauma team. Code Red the film is available on Youtube, but it is used in a range of courses at the Royal London. It is also shown at general, vascular and trauma surgeons’ inductions and at the induction of new intensive care and anesthetic doctors. It has been shared with the critical care practice development nurses for use in their trauma course. The next step is to produce a paediatric version. ‘The trauma age is getting younger,’ says Ms Davies. Her advice for other ED nurses who have ideas that would improve patient care is to ‘just do it – even if it seems a mammoth task’. ‘It took months of planning to do the Code Red film,’ she adds. ‘Find a group of people who think the same as you and are as passionate as you about something. Do it and then scream and shout about it. Band 5 nurse Amy Pond joined the Royal London Hospital in November 2017, two months after she qualified. 'At 18, I travelled around Asia and I saw what poverty really was. It gave me a huge feeling of guilt because I’d lived my life in complete ignorance without full appreciation of the life I had. I became a nurse because I wanted to make a difference. 'I wanted to be an emergency nurse because every single day in the emergency department (ED) is completely different. You never know what is coming through the door and you never stop wanting to better yourself as a nurse. I loved how busy and fast-paced it seemed. 'But at first, I was concerned about keeping up with that pace. I was already aware that a major trauma centre works incredibly fast. I knew that I would be dealing with incredibly unwell medical and trauma patients, but I was also aware that what ED nurses’ class as normal is actually abnormal to people who don’t do this every day. 'I was concerned that I would lack the ability to keep as emotionally unattached as needed. When you are dealing with a patient who is so unwell, who could go into cardiac arrest at any time, it gives you an incredible sense of determination to do whatever you can to help to save that life. 'I had basic understanding of a code red before I saw the film Code Red. I knew it meant that ‘a patient was unwell and unstable due to haemorrhaging’. I knew that a lot of different nurses and doctors attend a code red situation and that death is a likely possibility. 'I felt completely apprehensive about someone on code red coming through the door. Nobody can predict how unwell the patient is until you set eyes on them, and prior to watching the film, I was slightly unsure as to how a code red should be run and how smoothly and fast paced it should be expected to go. I watched the movie in a TILS (trauma initial life support) teaching session and remember feeling a huge sense of pride, knowing that I work in a team that is actually able to work in such a systematic way in order to save a life, and a team that works so well together that it sometimes achieves the impossible. 'It definitely made me feel more prepared. It showed me how a code red should run. Before I had no idea. 'The code red team was in position and I was the ‘Belmont Nurse’ when we received a 15-year-old patient who was bought in after being stabbed in the clavicular region, which had nipped the top of his heart. The patient had a blood pressure of 60/32 and was deteriorating rapidly. We had little time and were struggling to stabilise the patient when the trauma surgeon announced that he was going to do a thoracotomy to stabilise him. 'My main role in the code red team was to make sure that we were replacing the blood that the patient had lost, without which he would die. 'If I hadn’t have seen the film, I would have been confused as to who I needed to listen to, and I would probably have been very confused as to why it was so calm and quiet, because they are two words not usually associated with EDs. The RCNi Nurse Awards 2019 are now open.